There's a ton going on right now. But we'll try to winnow this down to the most important points. 1. Takeover time: Shares in U.S. seed giant Monsanto (MON) and Germany's Bayer (BAYRY) are on the move after the companies announced plans to combine operations. Bayer said it was buying Monsanto for $66 billion, including debt, to create a huge conglomerate spanning pharmaceuticals, health products and pesticides. This is the biggest M&A announcement of 2016. But Monsanto stock is still well below the offer price of $128 per share in premaket trading, suggesting investors doubt the deal will get past regulators. 2. Icahn can: Who can make stocks move? Icahn can! The legendary billionaire investor Carl Icahn said he wants to more than double his investment in the controversial nutritional supplements firm Herbalife (HLF). Currently, Icahn Associates Holding owns 21% of Herbalife's outstanding shares. On Tuesday he said he wants to increase that stake to 50%. Herbalife's stock subsequently gained ground in extended trading after falling by 3% on Tuesday. 3. Watching Wells Fargo: Shares in Wells Fargo (WFC) remain under pressure in premarket trading after dropping by just over 3% Tuesday. Wells Fargo CEO John Stumpf apologized for the fake-account scandal at his bank during a television interview with CNBC on Tuesday. But he said he wouldn't resign over the issue. 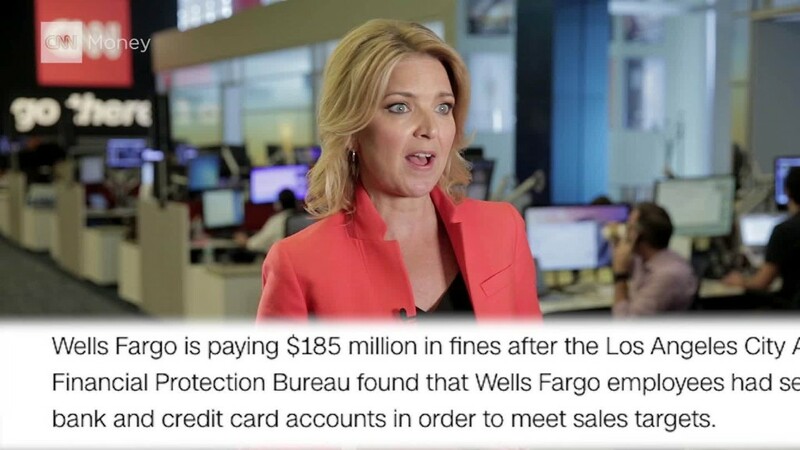 Wells Fargo was slapped with $185 million in fines last week after regulators accused the bank of creating more than 2 million fake bank and credit card accounts. The powerful Senate banking committee plans to hold a hearing about the scandal Sept. 20 at 10 a.m. ET. 4. 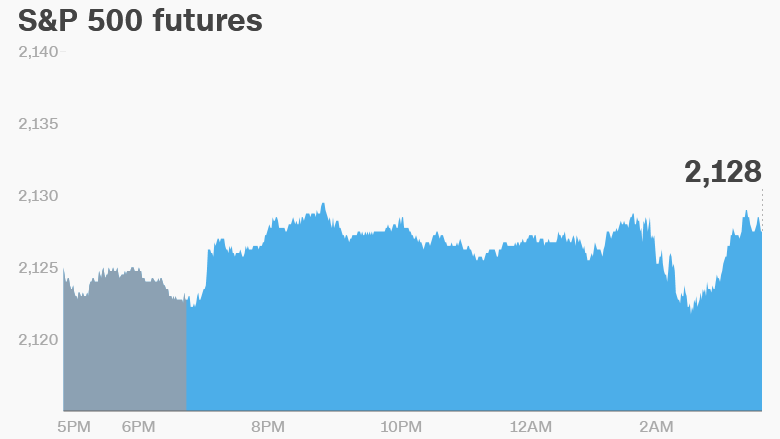 Global market overview: U.S. stock futures seem to be steadying after a string of highly volatile days. They're currently in positive territory, but the gains are small. On Tuesday, the Dow Jones industrial average dropped 1.4%, the S&P 500 shed 1.5% and the Nasdaq ended the day with a 1.1% loss. Central banks and oil are being blamed for the recent market swings. "It is becoming increasingly clear that stock markets have been buoyed by optimism over central banks intervening to quell the financial turmoil while speculative rises in oil prices provided a temporary boost to risk sentiment," said research analyst Lukman Otunuga from FXTM. In Europe, stock markets are inching higher in early trading. Asian markets mostly ended the day with small losses. 5. Ones to watch - Ruby Tuesday and Samsung: Shares in Ruby Tuesday (RT) are looking surprisingly mellow premarket after the restaurant chain announced CEO James Buettgen is leaving the company. This comes as the chain is seeing declining restaurant sales. It warned it will report a loss in the latest quarter. On the other side of the world, Samsung (SSNLF) will roll out a software fix next week for Note 7 phones in its home market of South Korea to prevent the devices from catching fire. The company says the software fix will prevent Note 7 batteries from charging above 60% of their capacity. But investors can't trade on this news yet because the South Korean market is closed until Monday for a holiday.